The one thing I truly miss since joining Slimming World is Dominos ham and mushroom pizza. I stay away from it because as nice as it is, it’s not worth all those syns. 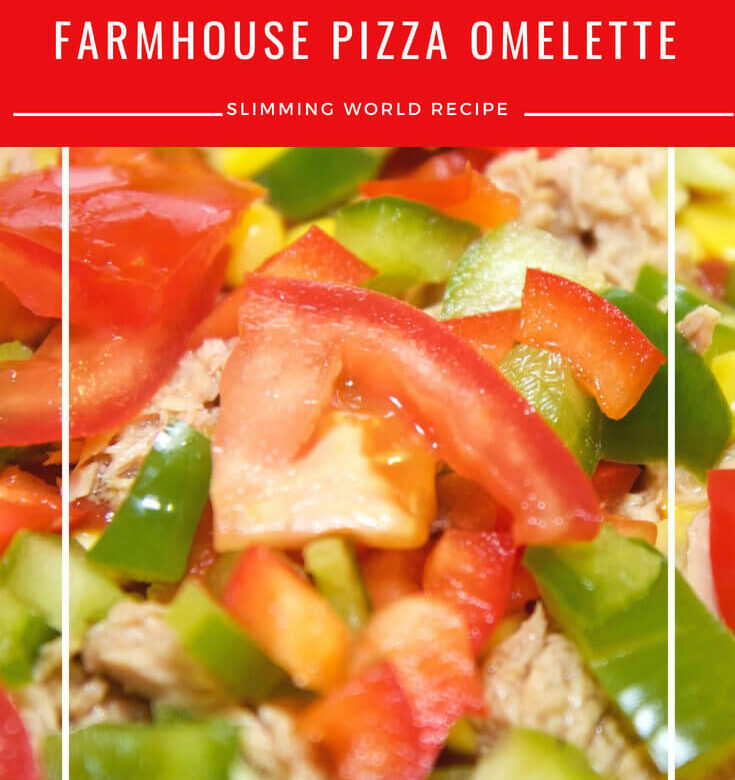 This farmhouse pizza omelette tastes lovely and works for me when I’m craving a Dominos! Syn Free if using the cheese as your healthy extra. Add 6 syns if not. Pour the eggs into a hot frying pan sprayed with low-calorie cooking spray and quickly swirl around the pan. Pull the mixture away from sides, using the spatula, and tip to let the uncooked eggs slip underneath. When the top is nearly set, add the chopped tomatoes, sliced mushrooms, ham and mozzarella. Sprinkle over the chives. Add salt and pepper to taste.